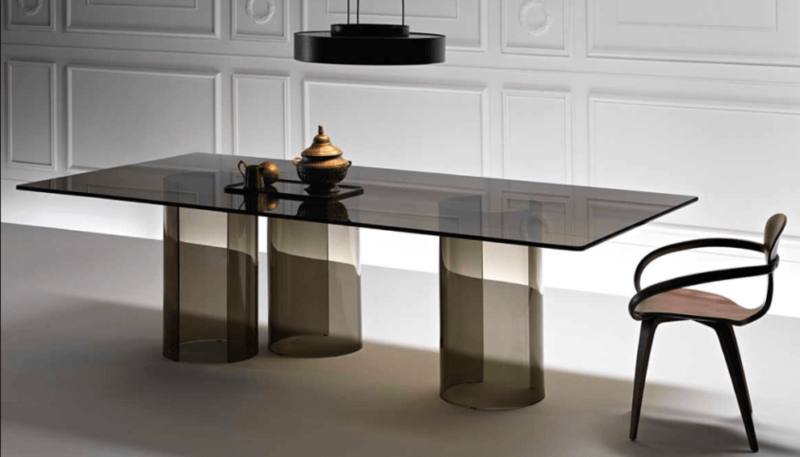 FIAM Italia‘s history started with the goal of Vittorio Livi of making glass a focal point in the world of design. Fullet, the first company founded by him produced coloured glass for the furniture industry and the merger of this last one with other companies such as Artiglass, Curvovetro, Cromoglass and Vellutart created in 1972 FIAM. FIAM was the first company to produce furnishing items in curved glass. Today the brand had become a leader in this industry and its products are present around the world. The complete FIAM Italia’s collection is available at our London showroom based in King’s Road Chelsea.